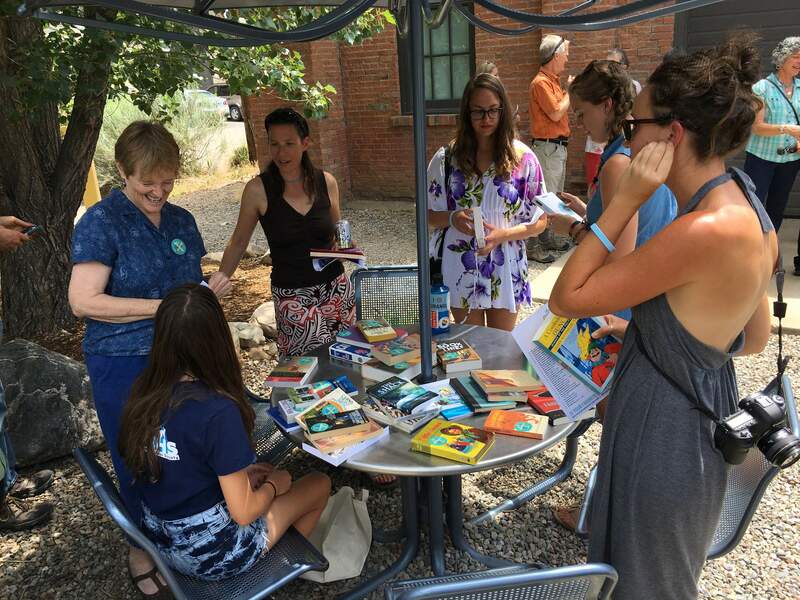 People peruse the Little Free Library books at a kickoff gathering Thursday in front of the Powerhouse Science Center. 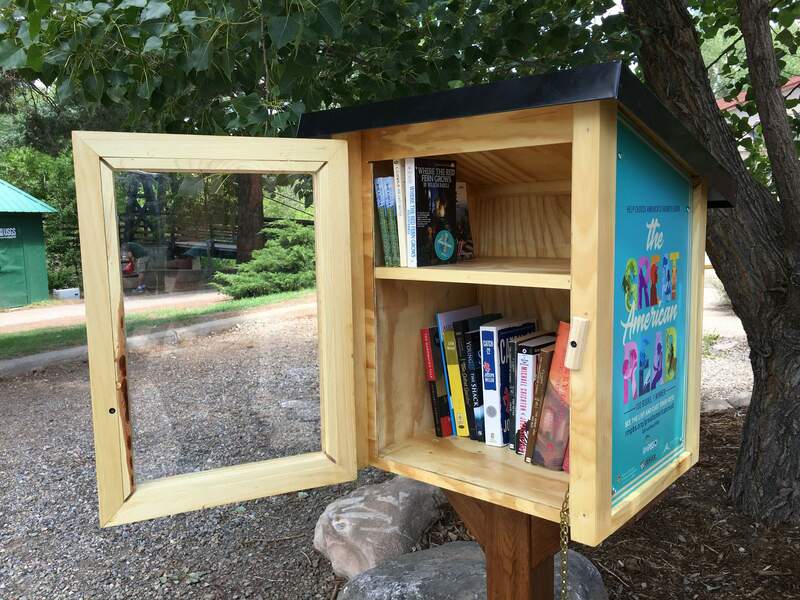 But Rocky Mountain Public Broadcasting Service is trying to decide just that, and as a part of the initiative called “The Great American Read,” a Little Free Library has been installed in front of the Powerhouse Science Center along the Animas River Trail. 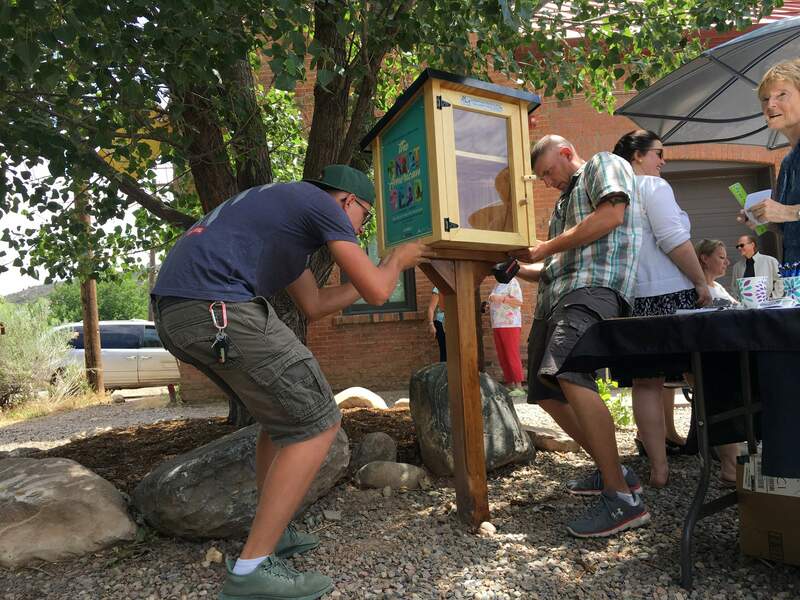 About 20 people gathered Thursday to watch the installation of the library box and to chat about books. Daisy Grice, the adult services coordinator at the Durango Public Library, said one reason why reading is important is because it promotes empathy. The reader can be put in a another person’s mind and perspective. “It’s an essential way to connect to a larger world,” she said. Grice said one of her favorite books was Anne of Green Gables. Keena Kimmel, owner of White Rabbit Books and Curiosities, which is just a few paces from the new library box, said that one of her favorite books is Walden. Best-sellers in her shop include 1984 and The Alchemist. Kimmel echoed the rest of the group’s excitement for the program. “Anything to promote literacy in any way is a beautiful thing,” she said. Virginia Cassel, a Maria’s Bookshop employee, said she can observe what kinds of books Durangoans gravitate to. Two recent hits are Yosemite Fall and River of Lost Souls. He said he is excited about all of the initiatives in Durango surrounding reading. “We’re a bike town, but people forget we’re a book town,” he said.